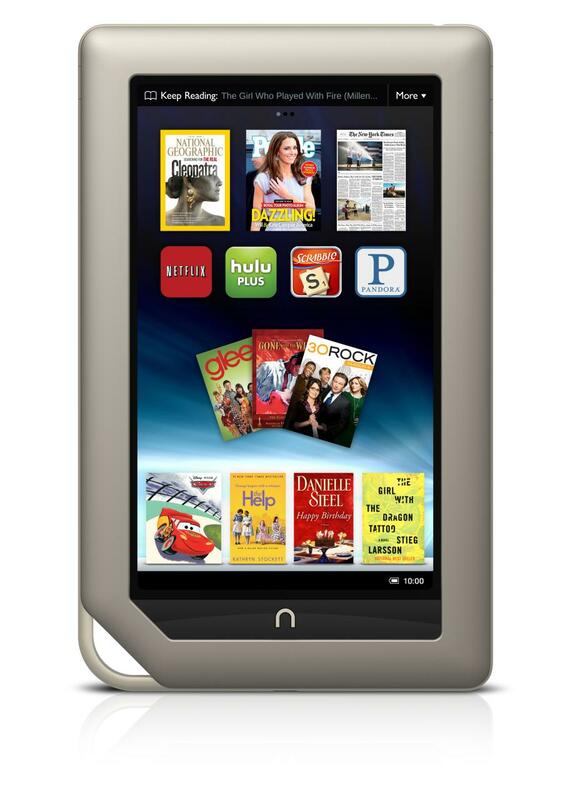 Comparing B&N Nook Tablet, Kindle Fire and the iPad 2 - which tablet is greener? Barnes & Noble unveiled yesterday its new $249 Nook Tablet, just weeks after Amazon.com released its Kindle Fire tablet, which sells for $199. The timing of both companies is no accident - just ahead of the holiday shopping season, anticipating a growth in sales of tablet computers this year. Just like when the Kindle Fire was out, you can already see detailed comparisons between the new Nook Tablet, the Kindle Fire and the iPad 2, which are all competing each other in the tablet space this season. As you can see here for example, some comparisons also add to the game the older Nook Color, which can also be considered as a tablet. We would like to add our green perspective, checking which one among these 3 or 4 options is the most sustainable one. First, we need to acknowledge the sad fact that currently only Apple publishes information on the carbon footprint of its device, as well as information on its eco-friendly features, such as having an arsenic-free display glass, being brominated flame retardant-free, PVC-free, and so on. I might sounds like a broken record, but although we have seen so much progress in the tablet market, this situation hasn't changed unfortunately so far. Unlike Apple, Barnes & Noble and Amazon either don't care about the environmental impacts of their devices or just don't think it worth the effort of sharing this information with their customers. Either way, Apple's leadership makes iPad 2 the greener device among the three (or four) by default. Once Barnes & Noble and Amazon will change their mind we will be able make a meaningful comparison among the three tablets. Until then, Apple's iPad 2 rules! 1. Apple's iPad is green only to some extent - when you look at the manufacturing part, and you have to look at it if you're taking a life cycle approach, the picture is far from being satisfying as we reported here couple of times and was reminded about lately in an article on Fast Company magazine. The only reason it doesn't disqualify Apple's iPad 2 from being considered the greenest among the three devices is that we don't know for sure that B&N and Amazon are doing better - the fact is that we only have information on Apple, but there's a chance that the same unsustainable practices that are associated with the manufacturing of the iPad devices can be associated with the manufacturing of the Nook and Kindle devices. 2. Both Kindle Fire and Nook Color are sold now in $199, which is way cheaper than the iPad 2. Their affordability is actually a sustainable advantage as one of the criticism against ebooks and e-readers / tablets is that it's only an option for rich people, while most people (the 99% maybe?) can't really afford it. With a price tag of $199, which will probably get even lower on the holidays it looks like the tablet experience is becoming more affordable than ever. And if you're only interested in ebook reading, don't forget you can buy a Kindle now for only $79. "Barnes & Noble developed revolutionary battery life with NOOK Tablet, enabling 11.5 hours of reading time or nine hours of video viewing – the equivalent of five full-length movies." "It’s obvious that these estimates were given by companies whose background is in eReaders. While WiFi off estimates make sense there, they don’t with tablets. These are multimedia devices now, and customers want to know what their battery life will be like when using them that way. Who buys a tablet and then leaves the WiFi off? Okay, some will when reading on the train or watching videos in a car, but that’s not going to be the norm. We’ll look forward to some testing to see how both slates hold up with WiFi on." So the bottom line is that when it comes to battery life the winner is still the iPad 2.